Each of us often hear on TV, especially news programs, such a term as Facebook. But not everyone understands, what Facebook . We hasten to inform you, that Facebook is a social network, as VKontakte, Only originating from a much earlier time. Facebook was founded in 2004 year student Mark Zuckerberg. The idea of ​​creating such a site visit to make after studying at university. This academic institution was decided to distribute to each student book, in which all the pictures of his classmates with residence addresses and e-mail addresses were collected. So Mark Zuckerberg concluded, it is possible to create an electronic version of a book. In his opinion, it is much easier communication with each other classmates. And Mark immediately wrote the code for the program, joining Harvard students. It was the beginning of the world-famous social network, by establishing that Mark Zuckerberg is considered the youngest billionaire. Today, Facebook covers countries such as Australia, Indonesia, Philippines, Hong Kong and Vietnam, new Zealand, Singapore and Malaysia, that allows users from around the globe to follow the current events of interest to them at any point. In contrast, from the same Facebook social network VKontakte popular mostly only among the Russian-speaking users. Beginning with 2006 , the social network Mark Zuckerberg has allowed users over 13 years to join the ranks of those, who registered it. The main condition for their entry in Facebook was the presence of e-mail. by the way, Today Facebook is the only one of all the social networks, which provides data secret services. WITH 2008 the Company has granted the creators of the Russian-language version of its, which allowed the Russian-speaking users to take to join it. According to official figures for July 2013 , Facebook has more than 1,2 billion users. Combining them all over the world, network allows its members to virtually communicate with each other via SMS, “likes”, “winks”, Download photos and videos. 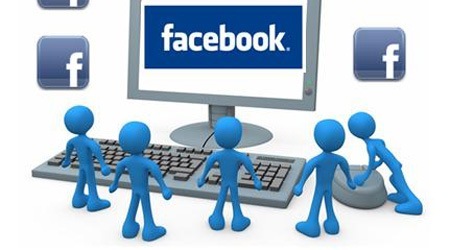 In order to sign up to Facebook users need to create your profile and provide the network some of its data: e-mail address, skype address and photograph. And if you agree to these terms, welcome to Facebook!